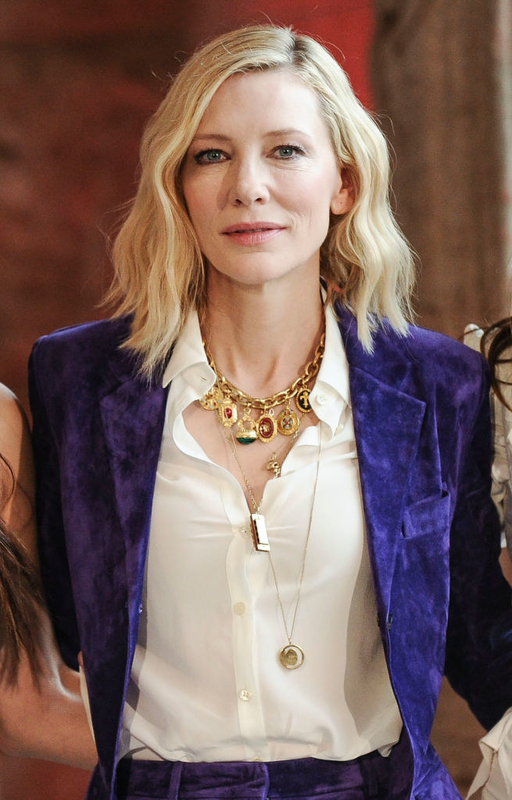 Harry Styles has nothing on Cate Blanchett. 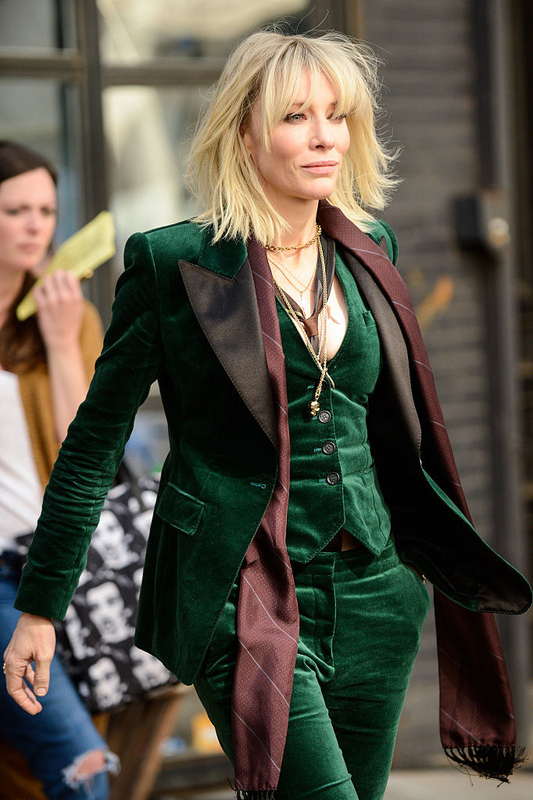 And since Cate has been travelling the world doing Ocean's 8 promo for a hot minute now, I think it's high time we take a moment to appreciate the glorious suits she's been blessing us all with recently. Oh yeah, and look, THIS SUIT EVEN HAS A RAINBOW STRIPE DOWN THE LEG. 1. First up, we have this magnificent peach suit she wore at the Cannes Film Festival, which wasn't technically for Ocean's 8 but whatever, there's no way I was going to omit this suit. 2. As if the peach suit wasn't enough, Cate also gifted us with this buttercup yellow suit while in Cannes. Again, not Ocean's 8 press, but I guess that's the kind of post this is going to be. 3. 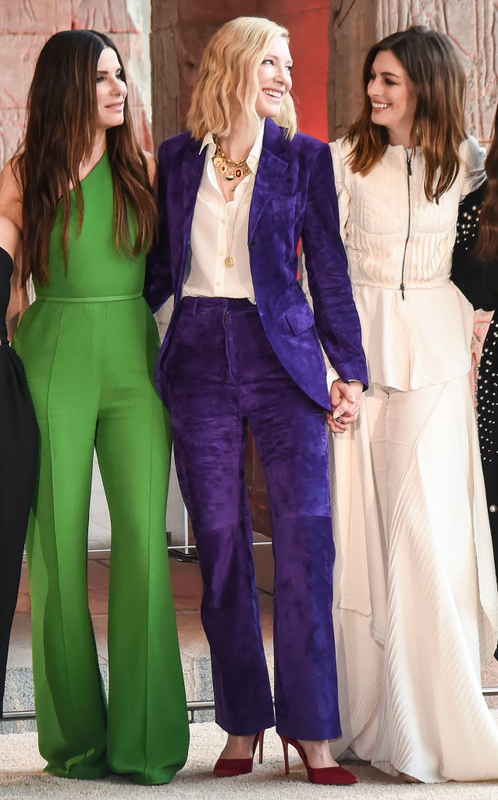 Bringing it back to Ocean's 8, Cate and the rest of the cast went to CinemaCon, and she wore this gold patterned suit that would put Harry Styles to shame, TBH. 4. She wore this metallic sapphire-coloured suit to talk about the movie and eat burgers on TV with Jimmy Fallon, who I cut out of the photo because his suit is nowhere near as impressive. 5. Then there was this marvellous pinstriped black suit with a firework-esque detail that is simultaneously subtle and also the best thing I've ever seen in my life. 6. Hold on a hot second! Did someone just say PURPLE SUEDE SUIT?!!! 7. She wore this bright yellow suit to a press junket one day, and everything in the world suddenly got brighter. 8. And this delightful pastel lilac suit made an appearance on Live with Kelly and Ryan. 9. 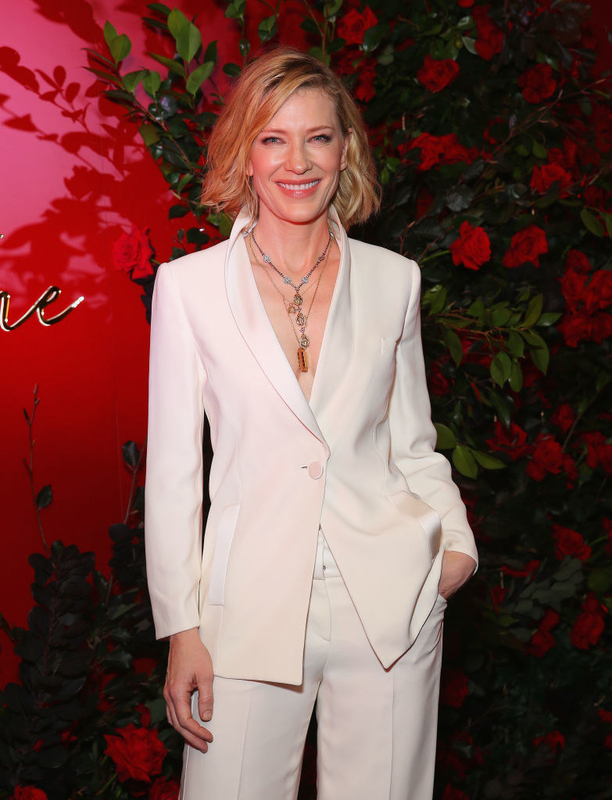 OK so, she wore this all-white suit to a perfume launch, which definitely doesn't have anything to do with Ocean's 8, but it's an all-white suit and you needed to see it. 10. This has just descended into a post where I show you pictures of Cate Blanchett in suits, but are you mad??? Because look at this!!!!! 11. And, of course, we have to pay tribute to the greatest suit of them all: The glorious green velvet suit she wears in the movie. Thank you for your time and thank you Cate Blanchett, Queen of Suits.